We will be flying today from about 11:30 and the weather is looking great. The next flying day is likely to be early to mid January. Due to the weather we were unable to fly this week, but have got our fingers crossed for next weekend. Instead of flying Don gave a briefing on safety and the ground syllabus for our new members. 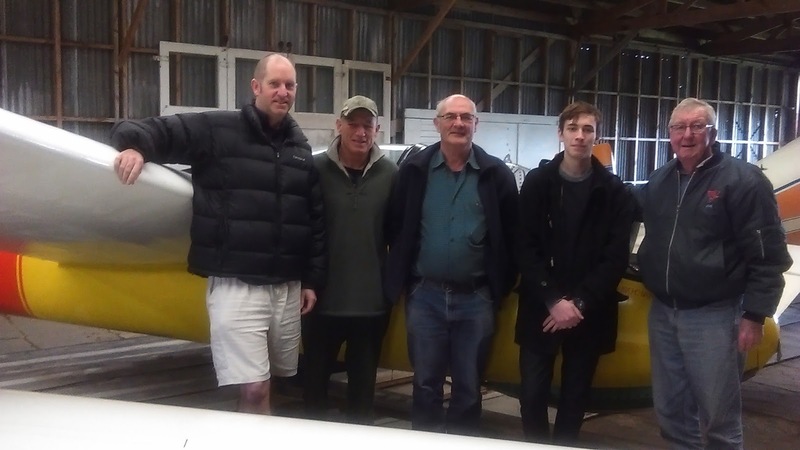 Congratulations to Vern, Cain and Peter who have been awarded the Subsidised Flying Package. Vern and Cain were presented with their log book and training manual, Peter having already received his. Callum (Left) and Don (right) congratulating Vern, Peter and Cain. We enjoyed a great days flying yesterday with eight flights being had. Bob had the longest flight of the day enjoying a brief window of excellent conditions. The rest of the day had some lift around but it was light and difficult to stay in. Loads of fun was had by all. 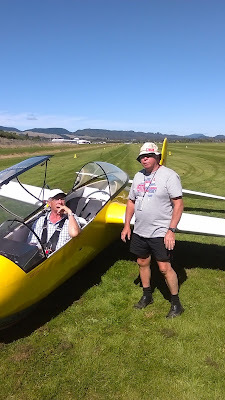 Peter receiving a briefing before his flight. The weather is looking great for tomorrow. We'll be flying from about 11:00. All welcome. Come and have a look or come and fly. All flights $100 with a qualified instructor, no experience required. If you'd like more information just give us a ring. Flying this Sunday March 5. We are flying this Sunday. The runway is open at long last. The weather is looking fantastic so it's all on. If you're interested get in touch for more info or else pop out to the hanger about 10:00 on Sunday. It's not too late to get in on our subsidised flying package. Quite an offer! See you on Sunday. Sadly the grass runway we use at Rotorua Airport is closed until early / mid January for maintenance. This means we won't be doing any flying until then. Watch this space or get in touch with Mike or Don (details on the right hand side) for more information. The subsidised flying package is still open...see post below. There is flying at the club tomorrow (Sunday September 11). If you're keen to come for a flight or just to see what is going on, come out early afternoon. The weather is looking good. 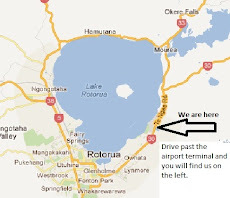 We are based at Rotorua Airport and fly on Sundays. All are welcome. Trial flights are $100 if you want to come and have a hands on experience, or perhaps purchase a gift voucher to give to someone else. Our fleet consists of a Bocian training glider that originates from Poland and a Grob Astir from Germany.